"Perform operations with multi-digit whole numbers and with decimals to hundredths." 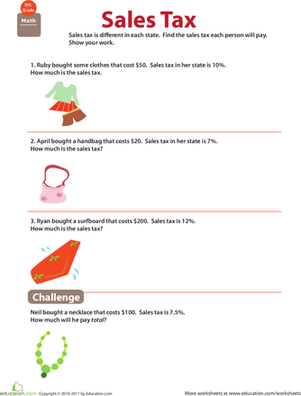 This worksheet's focus on sales tax gives your fifth grader practice with multiplication and decimals. 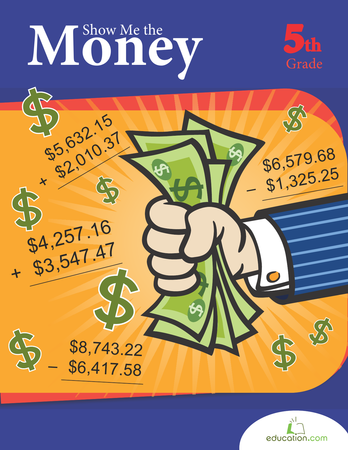 Teach your kid about a not-so-fun fact of life: shipping fees, and improve his ability to multiply decimals, with this colorful worksheet. 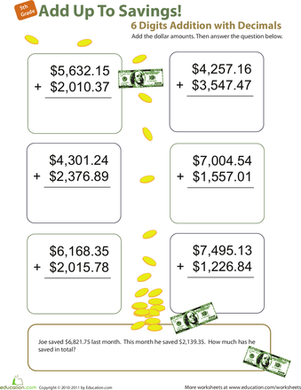 This challenging worksheet is a great way to boost math skills like percentages, money knowledge, and complicated addition. 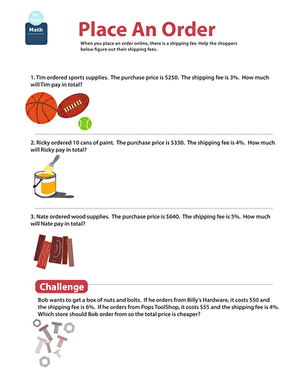 Can your fifth grader use multiplication to figure out the shipping fees for each word problem? 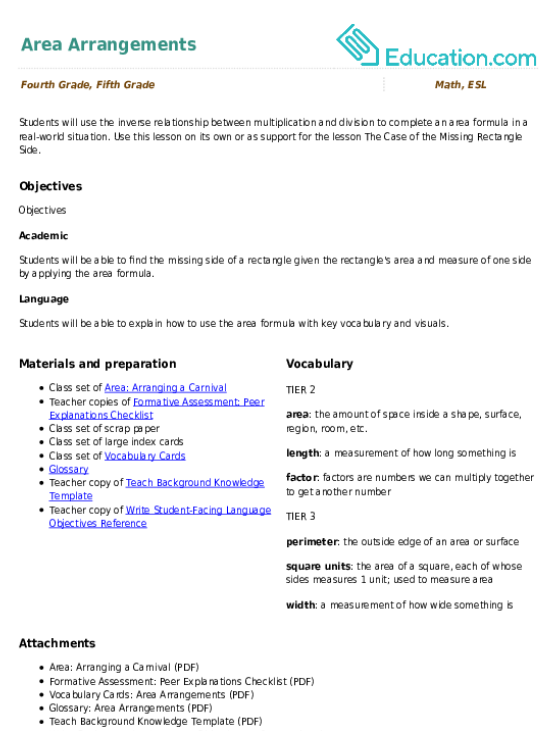 Students will use the inverse relationship between multiplication and division to complete an area formula in a real-world situation. 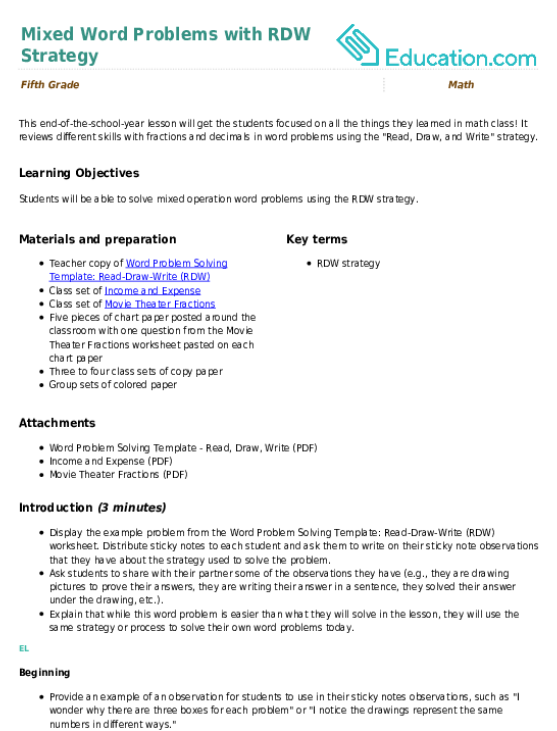 Use this lesson on its own or as support for the lesson The Case of the Missing Rectangle Side. 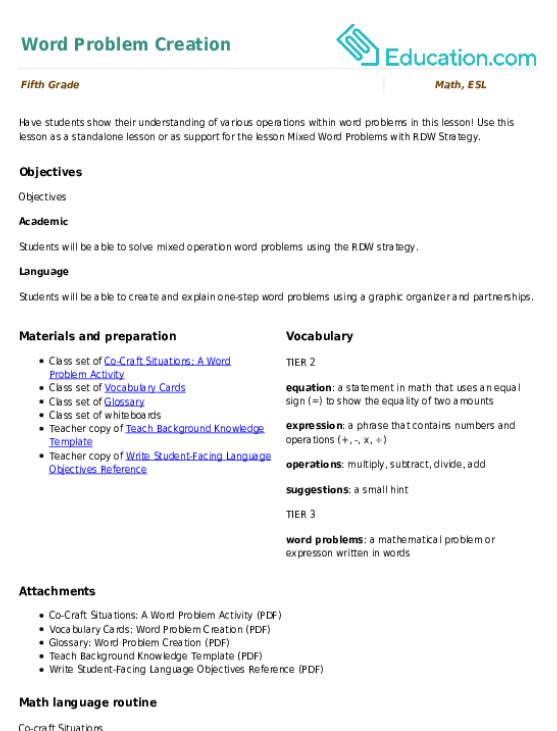 Have students show their understanding of various operations within word problems in this lesson! 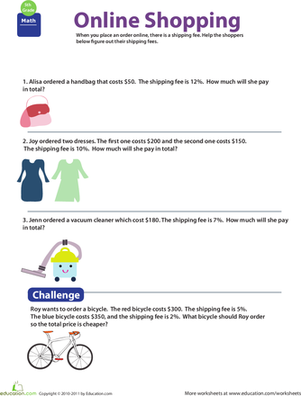 Use this lesson as a standalone lesson or as support for the lesson Mixed Word Problems with RDW Strategy. Whether it's allowance or a dog-walking business, kids are often looking for ways to earn an extra buck. Tap into that interest with practice that includes calculating tips, sales tax and commission.